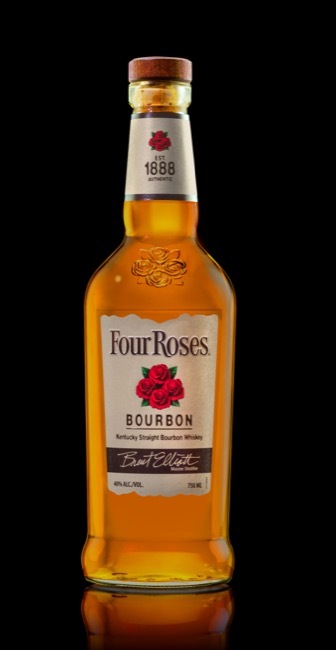 Here’s what the new bottles of Four Roses Bourbon will look like. Many people in the industry refer to it as “Yellow Label,” but it looks like Four Roses has taken out all the yellow. So what will we call it? I’m assuming just Four Roses regular, not to be confused with Small Batch or Single Barrel. The redesign was necessary, they said, to visually unite all three products — and I think it looks sharp. Love the fancy cork instead of the twist-off plastic cap.